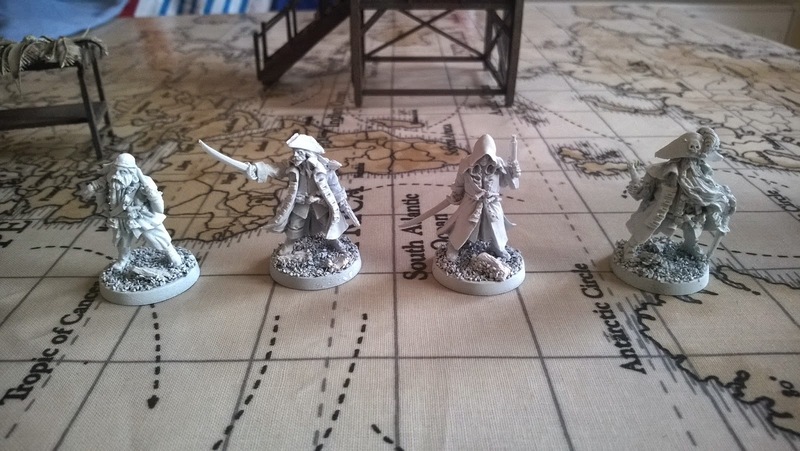 The Red Wyvern Games Blog is where we hope to keep you up to date with the the more day to day details of the running of RWGs and what we're up to! Stay tuned for sneak peaks, news and info on our new games and new toys! I've been working on a few terrain pieces! 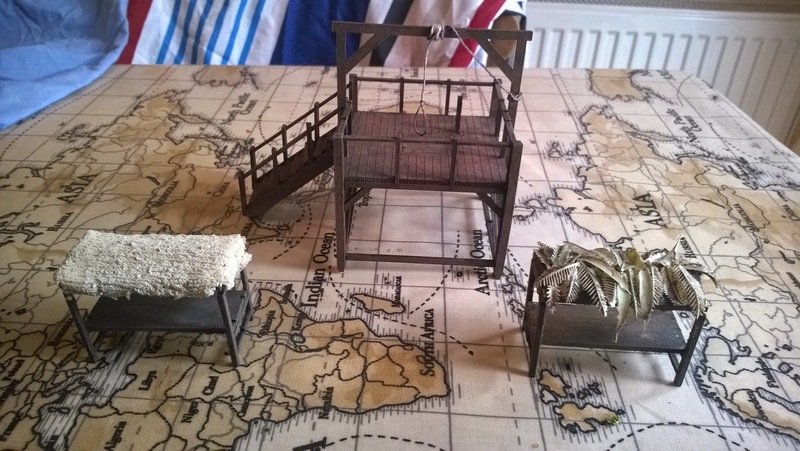 A hangman's stock/platform and a couple of little market stalls! Also, a new delivery of Black Scorpion pirates arrived! I got these fellows in part to my love of Assassin's Creed Black Flag! You can see one of them is clearly inspired by the lead of the game, looking forward to painting him up. I'll be aiming for a scheme close to the one below! 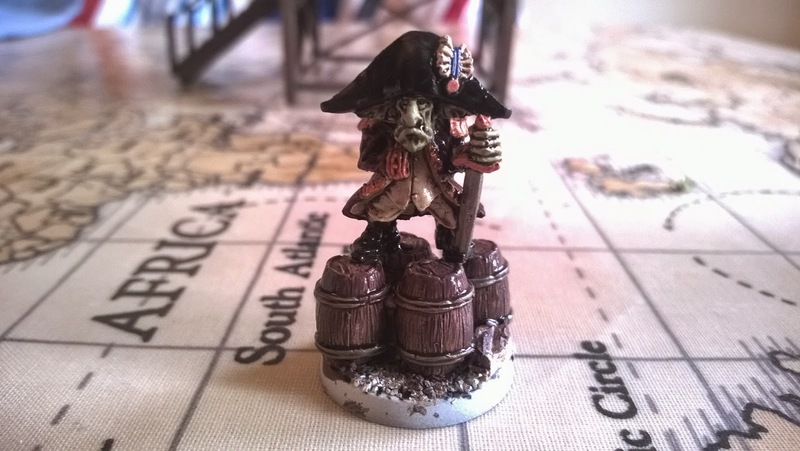 And finally - I'm midway through painting up this goblin who I aim to use as a captain; I placed him on a bunch of barrels to add height and make him seem more important. Here he is after his first wash.